Entrepreneurship is engrained in the psyche of most Americans. A stage comes in the life of hard working people when they feel compelled to have the freedom to call the shots, be their own boss and control the destiny of the company and people around them. They want to so called “take the plunge” and make a big splash, and with the proper planning and execution they have a good chance of achieving the American Dream. 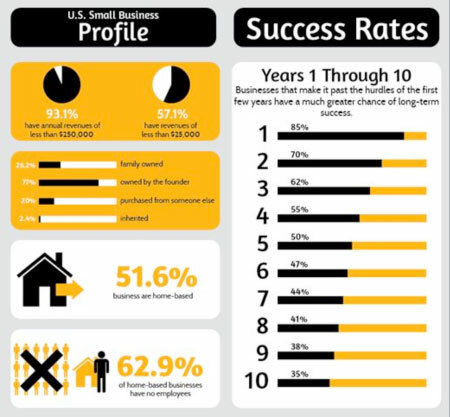 In doing so, however, they must also keep in mind that 85% of businesses fail in the first year. There are a myriad of reasons and factors for failure, but we will concentrate on success and how to give yourself the best chance at having a successful business. So you have decided to go for it. Congratulations, you have selected to be a part of an industry that is mature and stable. 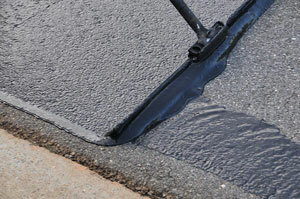 Over the decades the value of pavement maintenance through sealcoating and other methods, has been established and has every chance of maintaining its momentum in the future, as more and more property owners recognize its value in the preservation and protection of pavement surfaces; both asphalt and concrete. Now let’s run the evaluation and execution of your business plans. The very first item on the list is the evaluation of resources (capital, expertise and man power) that is available to launch yourself into business. Based on your resources you will decide the level at which you want to enter into the business -- small, medium or large -- and the level that can be sustained for a foreseeable time, especially in the beginning years. The very first thing to do is to talk to people in the industry and do your own research. A lot of data is available from various industry associations, and business directories. Go to the pavement conventions and talk to sealcoaters and suppliers. After establishing the viability of the business, do the market research of the area that you aim to serve; both the demand or the need (demographic, income levels, avg. price of homes, businesses, etc.) and the current level and quality of the available service. Most of the information is available on-line, the local chamber of commerce, and trade publications. The next step, after establishing the opportunity, is to contact the sealcoat manufacturer serving your region. Depending upon the size of your intended business, it is essential to know if you will have any restrictions in serving the intended region. Write a well laid out business plan with a 5 year projection of revenue, expenses and income. Your sealcoating supplier will have to be involved for some crucial cost numbers. They will also be able to assist you in overall planning of the manpower, facilities requirements, direct and indirect overheads. In addition to material costs, a crucial line item in pro-forma projections is the direct labor cost i.e. 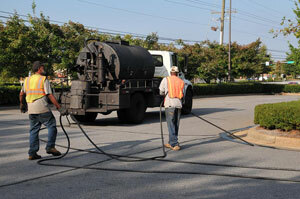 how many crews, the people on each crew you will need to sealcoat (crack fill, stripe,..) the total target market share. Your projection and estimates will have to be as precise as possible. There will be many pieces that you need to put together in an objective manner. Be objective in your assessment of the market share that you will be able to capture in the future years. Listen, but don’t be swayed by the lofty projection given by your suppliers. Also, be honest with yourself and avoid the temptation of thinking that things will work out as you move along. The numbers have to shake out now in projection that the business will grow and yield the bottom line numbers to keep the business going. Remember, if the numbers work on paper, you will have a good chance in succeeding. 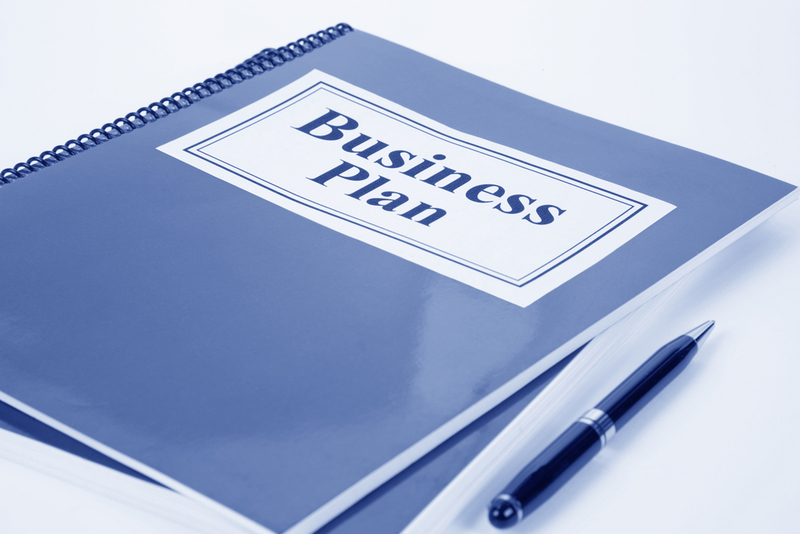 Your business plan is the blueprint of your business; a very important document that will also be immensely helpful in working with the banks, investors, and vendors. In this section we will elaborate only the equipment needed for your operations. Out of many entry levels we will choose the middle of the road; not too small not too big, for the selection of equipment and their capacities. All these items shall be listed in the list of equipment, a part of the business plan. You can collect most of the cost information from your intended sealer supplier and the independent vendors. 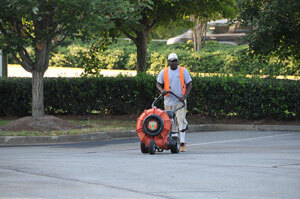 A. Pavement cleaning; dirt and debris. A Portable power washing unit will be handy for tough to remove, caked ion dirt areas. Oil Spot sealer and suitable brushes and roller. 1. Hot Crack Filling- Melter, pour pot, application wand. Sand for broadcasting over recently filled crack to avoid tracking. 2. Cold pour crack filler, pour pot, V-Squeegee. equipped with full sweep agitation element, hydraulic motor, compressor, diaphragm (or piston) pump, application hose, spray tips; both for with and without sand application. The full sweep agitation is essential to keep the components of the mix design in uniform suspension during transportation to the site and application. Mix design is a term commonly used to depict that the sealcoating which is supplied as a concentrate is mixed with water, sand, and additives (optional), according to the manufacturer’s recommendations. Smaller tanks with hand agitation may work but the mix will have to be mixed frequently and diligently. The machine should come with all the essential components mentioned above. The commonly used tank has 550 gallons total tank capacity. Steel tanks have been used for decade. Plastic tanks, introduced some 20 yrs ago, have gained acceptance and are being used with a great deal of success. It is essential to keep the mixture of sealer, sand, water and additives (when used), in suspension, during the sealer application. Other items for application are brushes and squeegee for sealcoating the edges. Also the machine should have a water container for soaking and cleaning up of the tools. The entrepreneurs who are considering entering into the sealcoating business are urged to research the opportunities in the region they intend to serve. It is essential to develop a detailed business plan with background research, market analysis, and a 5 year projection with statement of profit/loss and bottom line profits. If all checks out fine, contact a sealer supplier of good repute for product performance and service; it is going to be a long term partner in your business. While wishing you success, you are urged to do diligent research before committing to the business. Once committed go with full confidence and gusto.